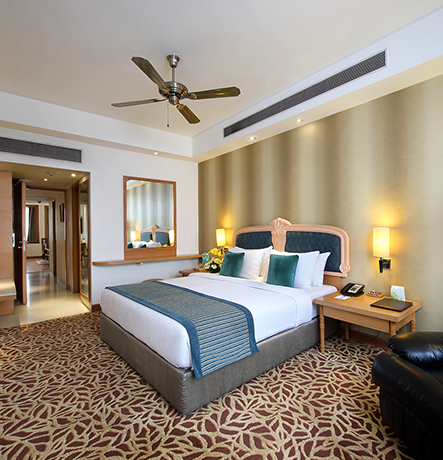 Hotel Maurya Patna is undoubtedly one of the most celebrated landmarks in Bihar. 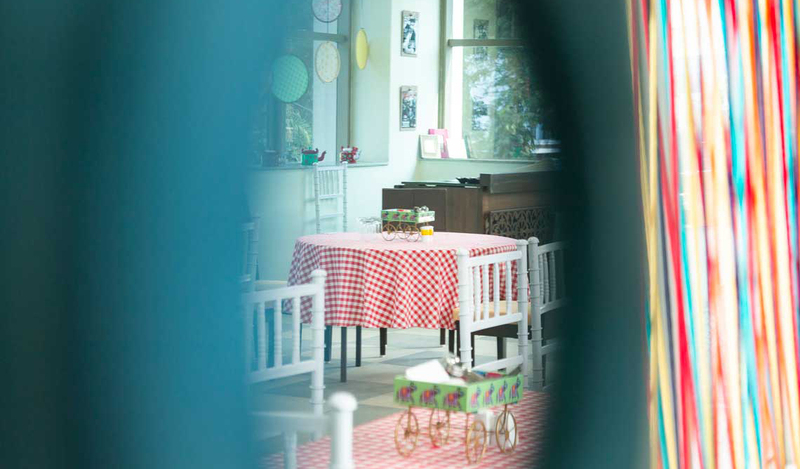 From the time it first opened its doors in 1978 to welcome Patna residents and international tourists, it has remained an iconic hospitality venue. Maurya is Bihar's first luxury's hotel in the state. 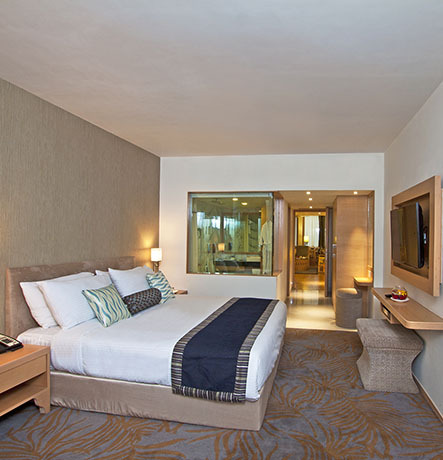 The rooms at Maurya have been designed for comfort and function. They embody elegance and offer the perfect ambience for your stay. 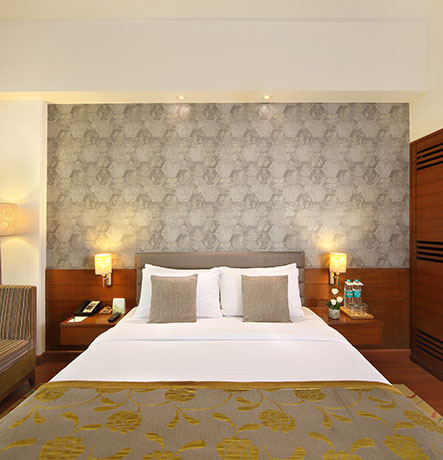 As large as the Mithila suite, this suite exudes old world charm. All suites offer a butler service and luxury room & bath amenities. This suite is accommodating enough to entertain an entourage of guests! As one of the largest suites at the hotel, this suite is a tribute to the ancient kingdom of Mithila that once spread over significant areas of Bihar. The suite is luxuriously appointed and features authentic artworks from the region. This down to earth suite room stirs a connection with nature! Despite the city-centre location, one will appreciate the serenity of this urban oasis. This suite features wildlife photographs from an Indian forest. 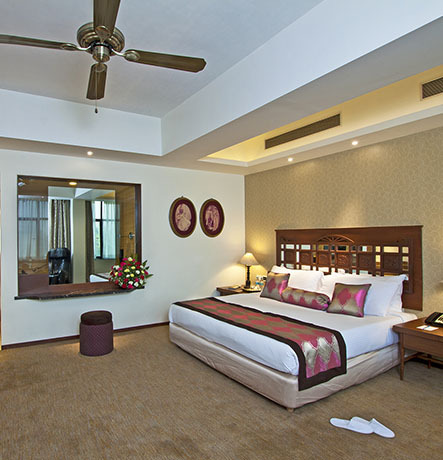 Orient inspired suite with delicate furnishing and Feng Shui elements will make you feel relaxed whilst your stay here. Mandarin paintings adorn the walls and classical furniture adds charm to this beautiful suite. Ideal for the business traveler and leisure guest, the recently renovated Club Premiere rooms are contemporary and elegant in design. Each room features a working station and a recliner to sit back in comfort. 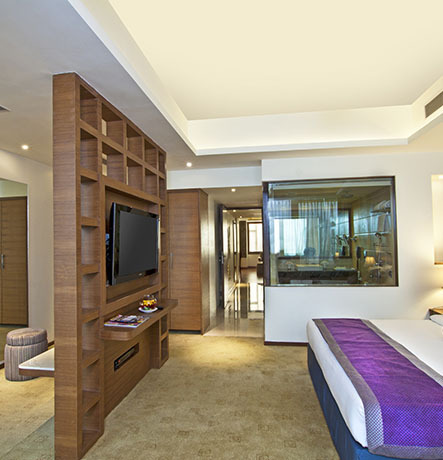 Ideal for the business traveler and leisure guest, the Club rooms are contemporary and elegant in design. 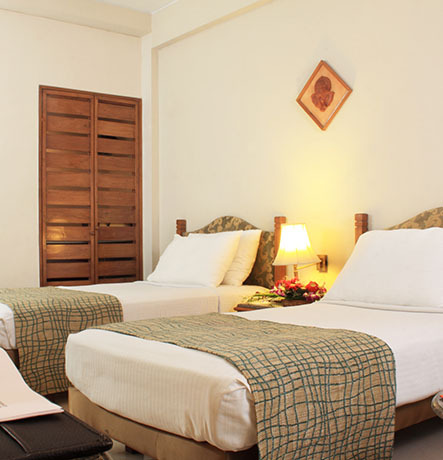 Each room features a working station and offers excellent room facilities. Ideal for the budget traveler, the Mauryan chamber rooms offer all requisite room facilities. The rooms are simple in design and décor. Hotel Maurya Patna offers a multitude of dining options to residents and tourists of Patna. From an all-day multi-cuisine coffee shop “Vaishali” to specialty restaurant “Spice Court” to casual dining restaurant “Bollywood Treats”, each restaurant features a unique menu and dishes that become guest favorites. Guests staying at the hotel have the additional luxury to enjoy a 24-hour room service. For guests’ convenience, especially for the corporate travelers, the in-room dining menu also offers the choice of half-portions. 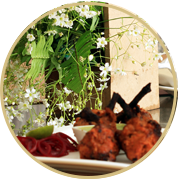 Guests can hence, enjoy the perfect value gourmet meal in the comfort of their room. With a number of venues, state-of-the-art audio-visual facilities, high levels of food & beverage quality and service, Maurya Banquets are the perfect venues to celebrate your special occasions and corporate events. 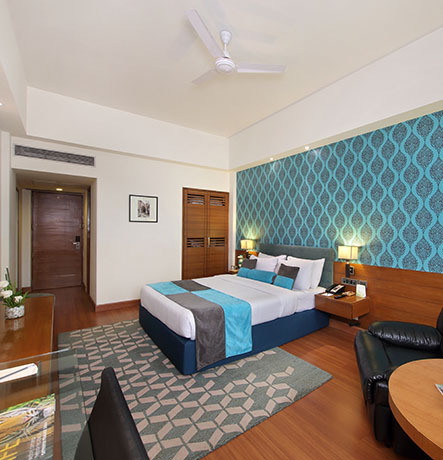 Whether you are staying at Maurya as a business traveler or a leisure guest, for your convenience and entertainment are available a number of activities and facilities. Select stores adorn the shopping strip at Maurya where you can buy Indian apparel, fashion accessories and cosmetics. There is also banking facility available in the shopping arcade. Duis sed odio sit amet nibh vulputate cursus a sit amet mauris. Morbi versa accumsan ipsum velit. Nam nec tellus a odio tincidunt auctor a ornare odio. My Stay in Hotel Maurya during this weekend was comfortable. The hospitality as well as cleanliness is impressive. I also enjoyed the Food. Thank You very much for the warm Hospitality and for the excellent arrangements for our business events. It’s a beautiful property with great food and pleasant staff. Enjoyed my short stay which was made sweet by you all. God Bless. Avail last minute discounts, early bird offers, long stay offers when you book directly with us. The property's remodeling project was completed in September 2013. The remodeling enhancements focused on bringing back the hotel to a state of modern luxury and elegance. All the 73-guestrooms, 4-suites, the lobby, public areas, banqueting venues etc. are updated and ready to offer excellent contemporary guest experiences. The latest addition to Maurya's banqueting facilities is the hall “Bodhi” which is now open for bookings. It features a carpet area of 3500 sq. ft.